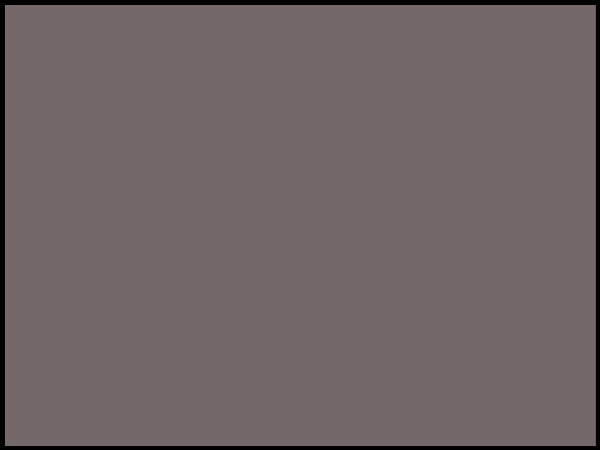 It may be the comic story of the past few years. Boom! made it public first, that they were cutting the number of titles they were publishing in order to refocus them. 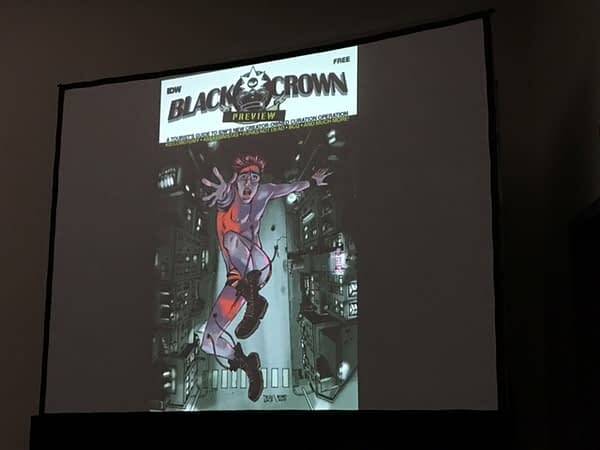 But others did similar, if less publicly, including Marvel, DC, and Dark Horse. 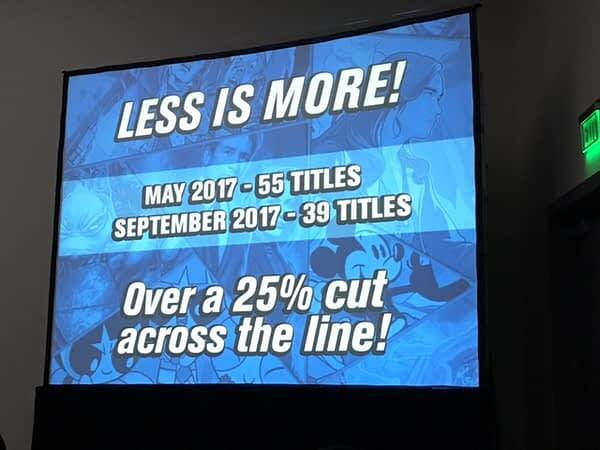 Today at the Retailer Lunch meeting, Dirk Wood from IDW committed to doing similar, and pointed out how their title count had fallen to reflect expressed concerns: a 25% drop. They will keep their line around 40 books a month. Wood said that the current First Strike crossover will change the Hasbro universe, and the Transformers line will shrink as the Hasbro books get refocused. Star Trek Discovery comes out two weeks after the show’s release and ties directly in with continuity. The “all ages” Star Wars books will now be called books for “younglings”. 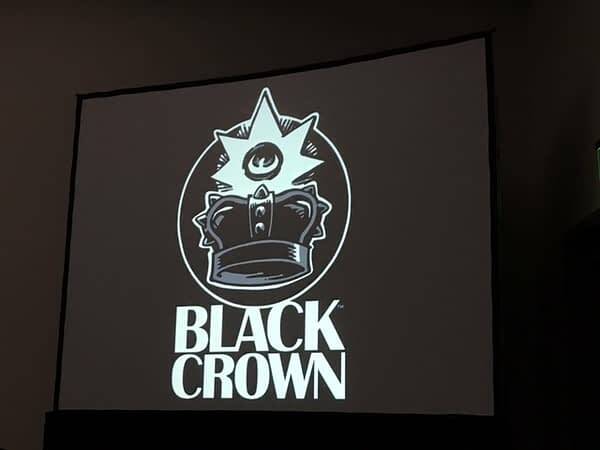 And Shelly Bond presented Black Crown, uniting punk upstarts with seasoned veteran creators. 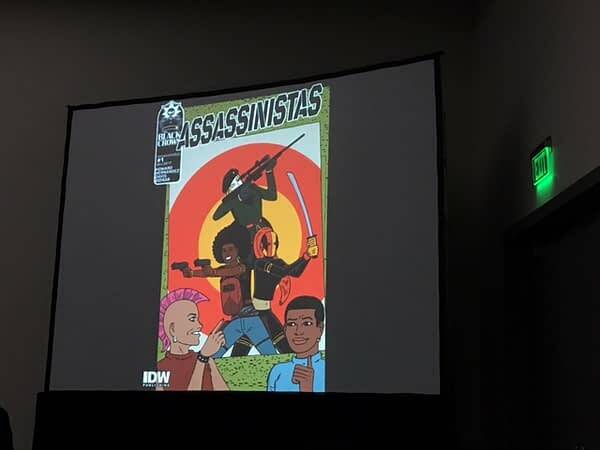 For example, Tini Howard and Gilbert Hernandez on art for Assassinistas. 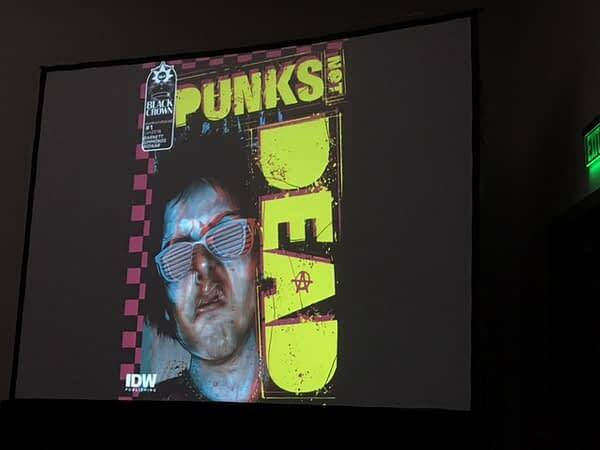 Punks Not Dead with a punk kid with no dad who gets the ghost of Sid Vicious as his new father figure. 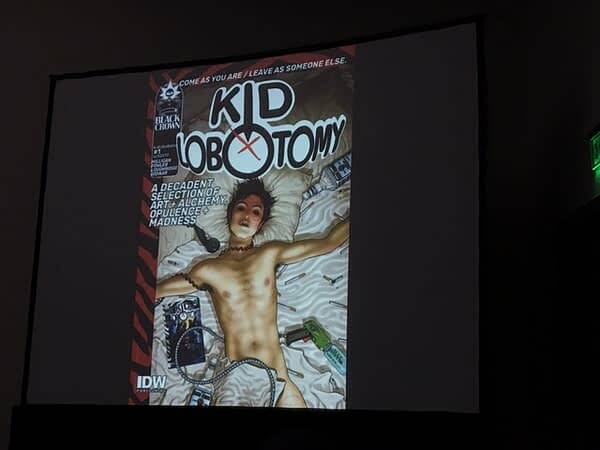 Kid Lobotomy with Tess Fowler is like Peter Milligan’s Shade and Hellblazer.